The Jazzworthy Highland Bagpipe, earlier today. 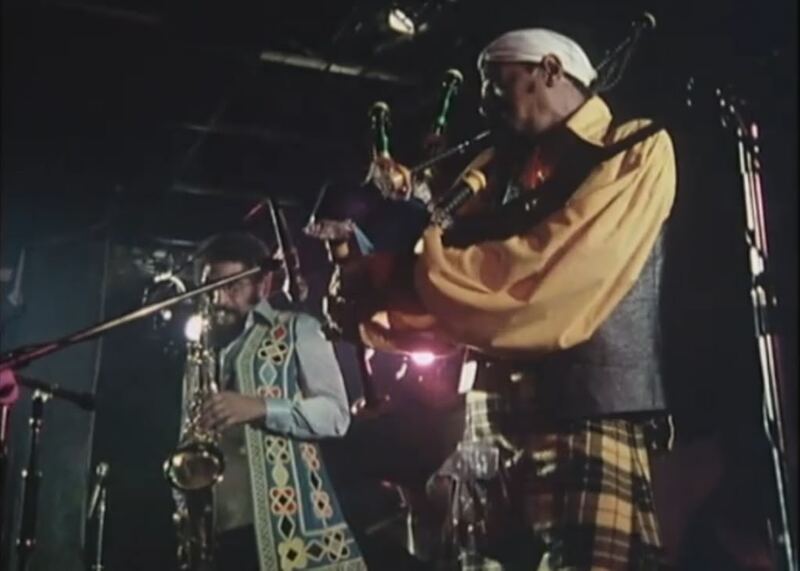 Sonny Rollins and his band are being filmed playing Ronnie Scotts in 1974. As Sonny introduces Swing Low Sweet Chariot with a brief tenor solo, the camera moves to the man who until now has been playing soprano sax. He is wearing a small white headscarf, a voluminous yellow shirt, a black leather waistcoat, a black and yellow kilt, knee length argyle socks and a pair of brown Jesus sandals. But there is something strange about the picture: he has put down his saxophone, and is now playing…BAGPIPES! 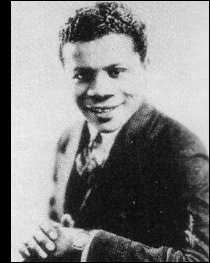 The musician in question was one Rufus Harley, famously the first to make a primary jazz instrument of the Highland Bagpipe. He enjoyed great respect over what felt like a very long recording career, and was quite given to wearing Scottish garb, sometimes topped off with a Viking helmet. His work by no means offered the only recorded use of bagpipes in jazz, however. 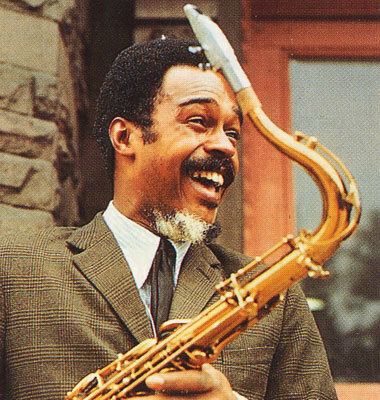 Dutch saxophonist Peter Bennink was a devil for the things, and Albert Ayler even paired them with an ocarina on one of his acclaim-dodging later albums. 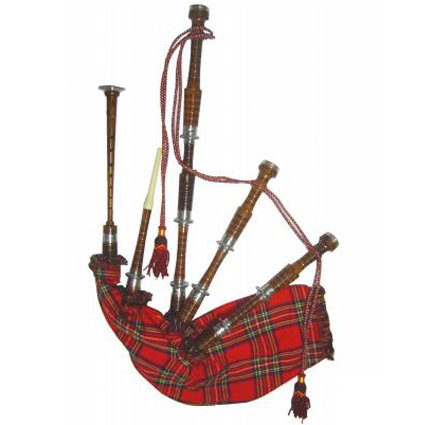 But are bagpipes really the most obscure instrument to be used in jazz? As the music has ceaselessly sought to reinvent itself, should we be at all surprised to see the instrumental pallet being broadened somewhat? 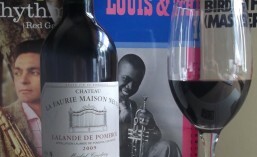 Let us go back to 1924, and hearken to the new waxing by Clarence Williams’ Blue Five, a rendering of the popular show tune “Mandy, Make Up Your Mind.” https://wineandvinyl.files.wordpress.com/2013/07/clarence-williams_17_mandy-make-up-your-mind.mp3 It starts out nicely enough, with Louis Armstrong piping away cheerfully over Sidney Bechet’s soprano sax and Charlie Irvis’ cowshed trombone, and after Eva Taylor’s vocal interlude comes Bechet’s famous contrabass sarrusophone solo. I’m sorry? Beg pardon squire..? The sarrusophone was a double reed brass instrument invented in 1856 to replace the oboe and bassoon in outdoor bands, neither of which carried well in the open air. What Bechet was doing with one is anybody’s guess, but he despatches his solo with pleasing elegance, before allowing the beast to snore contentedly in the background for the ensemble finale. The simple and untempered delights of swanee whistles, jugs and kazoos also had common currency in Vaudeville, minstrel revues and medicine shows, but if we poke around the darker corners of the homespun instrument department we’ll soon find the stovepipe. 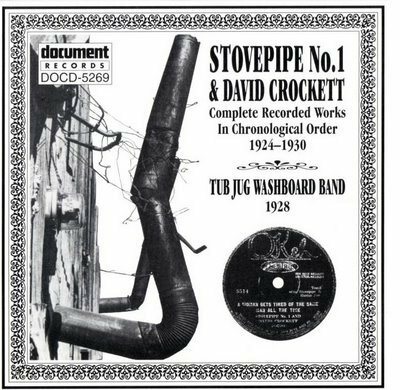 This was indeed a stovepipe, but bent and tweaked until it could offer some semblance of musical backing to whomever felt their performance might be thus enhanced. 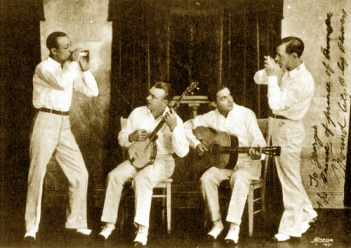 And what did it sound like?https://wineandvinyl.files.wordpress.com/2013/08/1-13-a-chicken-can-waltz-the-gravy-a.m4a Well, it sounded like somebody making funny noises into a bendy metal tube, as demonstrated by this 1927 recording by Stovepipe No.1 and David Crockett. (The “No. 1” was presumably adopted to avoid confusion with Daddy Stovepipe, Stovepipe Johnson and Sweet Papa Stovepipe). The stovepipe itself is not to be confused with the gaspipe clarinet, of course, which wasn’t an instrument but a style of playing which was popular in various musical entertainments between around 1910 and 1930. Wilton Crawley trying not to let on that his legs were tied in a reef knot. Yes, Dorothy, you will have to pay two fares on the bus home. 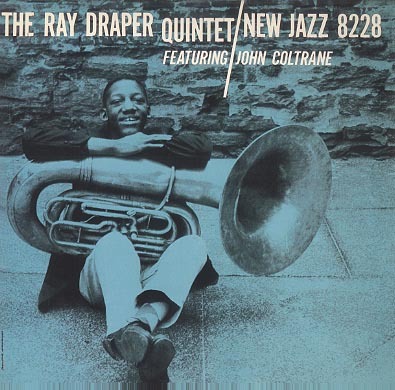 Ray Draper and his pocket tuba. From around 1958 onwards, and especially as the avant garde kicked in, an ever-widening range of instruments was brought into the fold, while new vocabularies were written for familiar instruments. 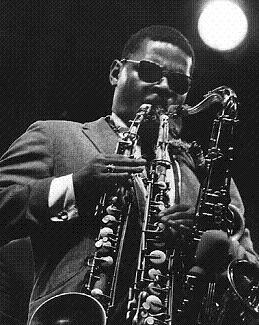 Roland Kirk was known for augmenting his tenor with stritch and manzello – elderly members of the saxophone family – and for playing them all at the same time, bringing novelty and emotional freight in varying measure. This track, from his 1965 album “Rip, Rig and Panic,” shows a fabulous improviser showing off his party trick to tasteful effect. A bit shaky at the end, perhaps, but a small price for such a sterling performance!https://wineandvinyl.files.wordpress.com/2013/08/02-once-in-a-while.m4a Sun Ra, a bandleader since the 40s as well as a fierce intellectual and a masterful showman, had pretty much tired of all restraint by 1961, and shortly after moving his band from Chicago to New York his music and its instrumentation moved in ever more challenging directions. 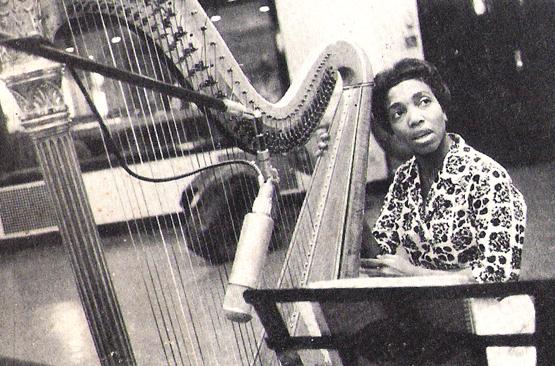 Self-released albums with titles like “Art Forms of Dimensions Tomorrow,” “Other Planes of There” and “Cosmic Tones for Mental Therapy” featured things like Jupiterian Flute, Sun Harp, Space Dimension Mellophone and Neptunian Libflecto, to name but a few. 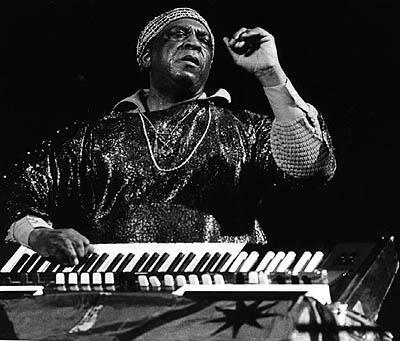 Sun Ra gives it some on Astro Space Organ. Probably. “Axis of melody, rhythm and pure sound?” Are you sure about that? Man, you guys kill me! ← Charleston Champions vs. Chiswick Chartbusters (Part One).